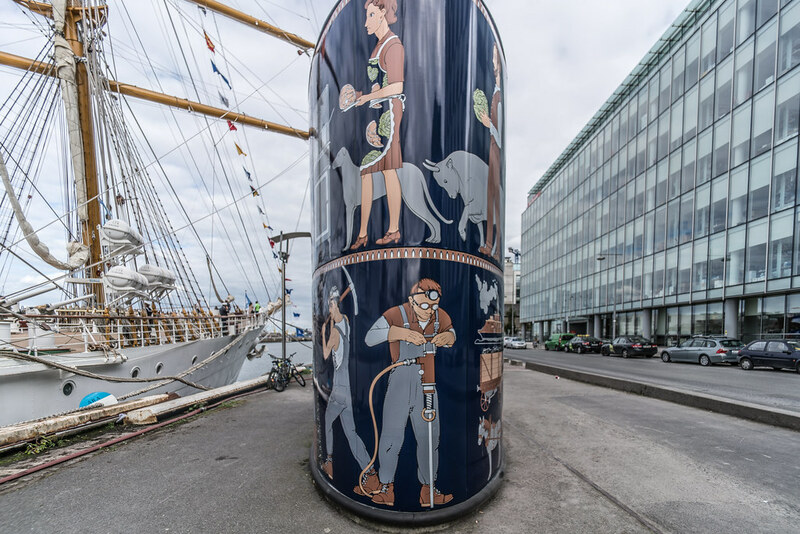 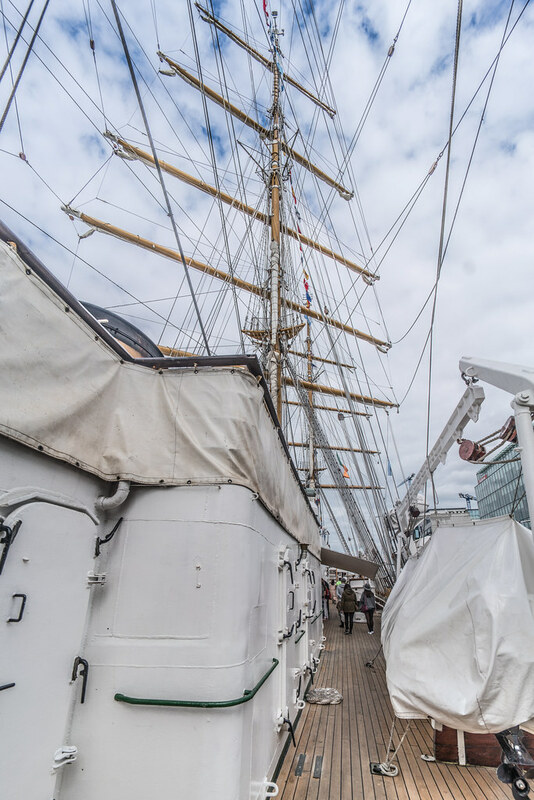 Today I decided to experiment with my Voigtländer 15mm lens and as a result I discovered a spot on my sensor and I have been unable to remove it … I can’t even physically see it. 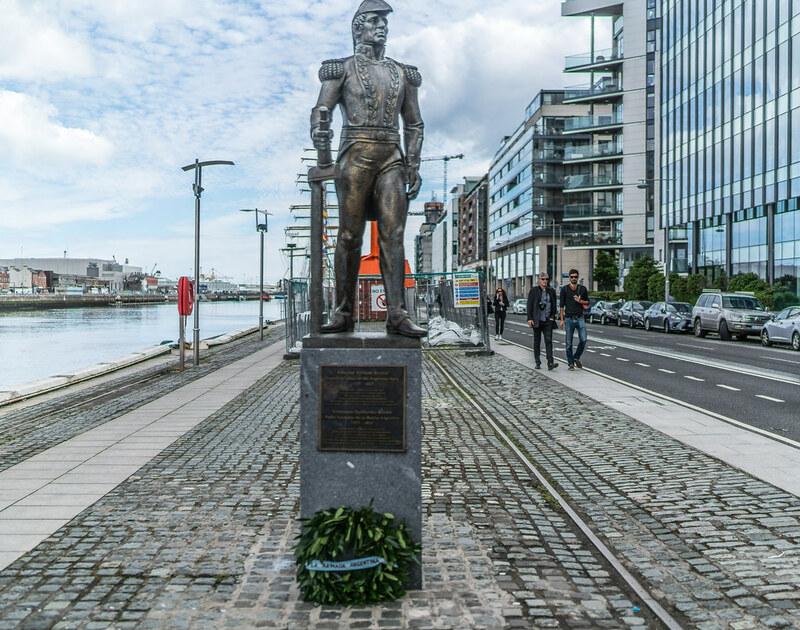 I have examined some of my earlier photographs and have discovered that the spot has been there for months. 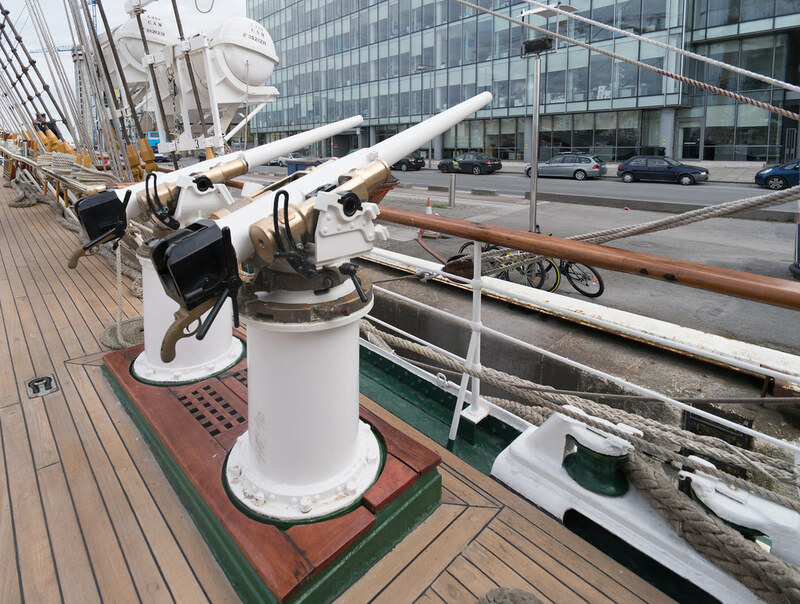 To be honest I am finding it difficult to use this lens, especially wide-open, because it is a manual focus lens. 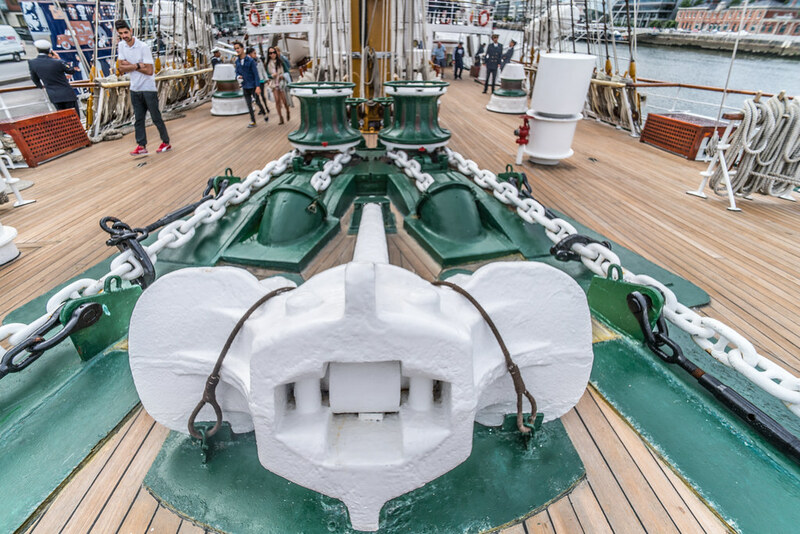 Some photographs have a lot of distortion especially when the camera is angled. 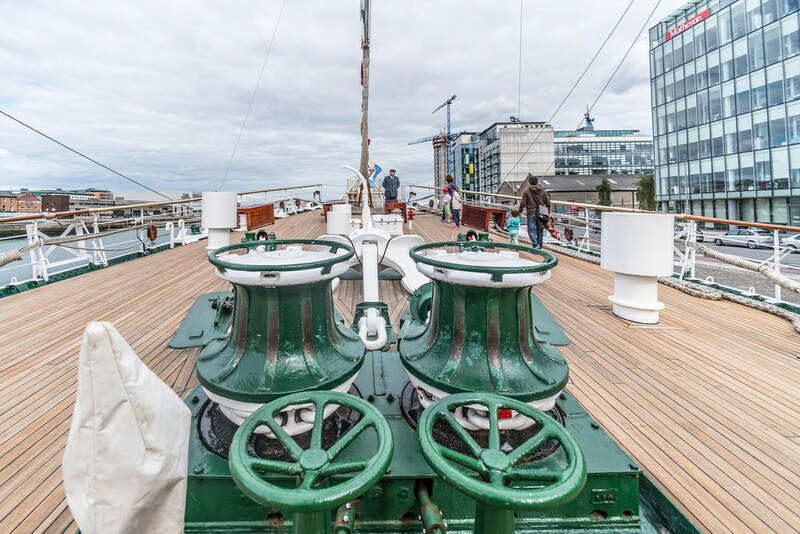 The Voigtländer 15mm 4.5 Super Wide Heliar E aspherical III is the first native E-Mount lens by Voigtlander. 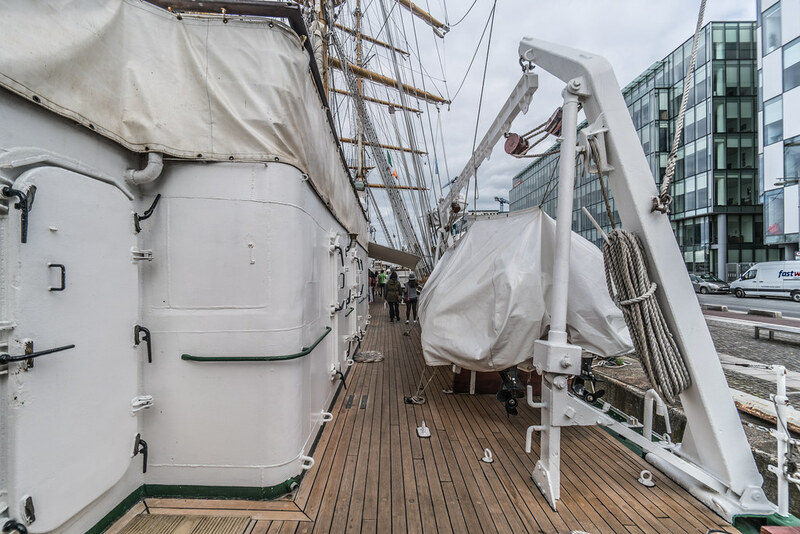 There are a few more on the way. 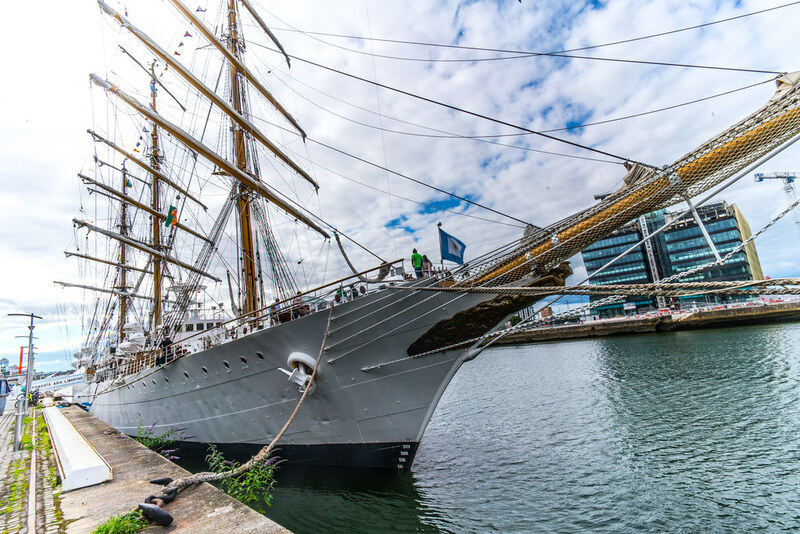 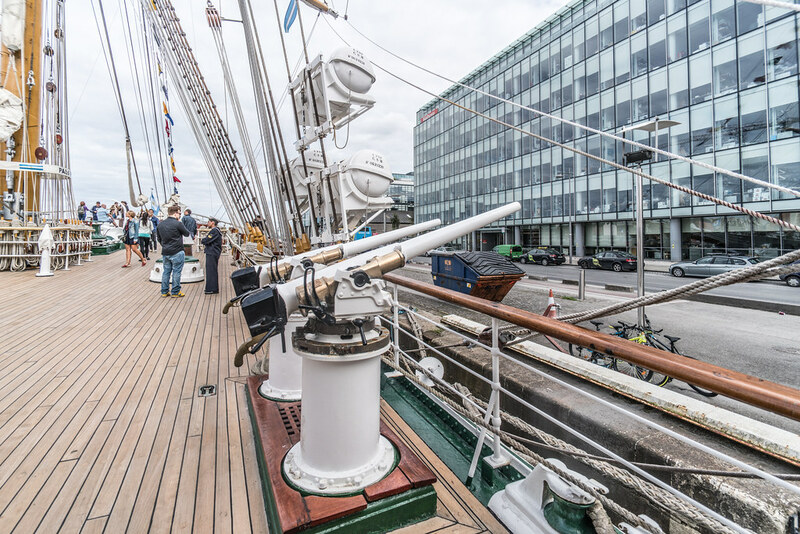 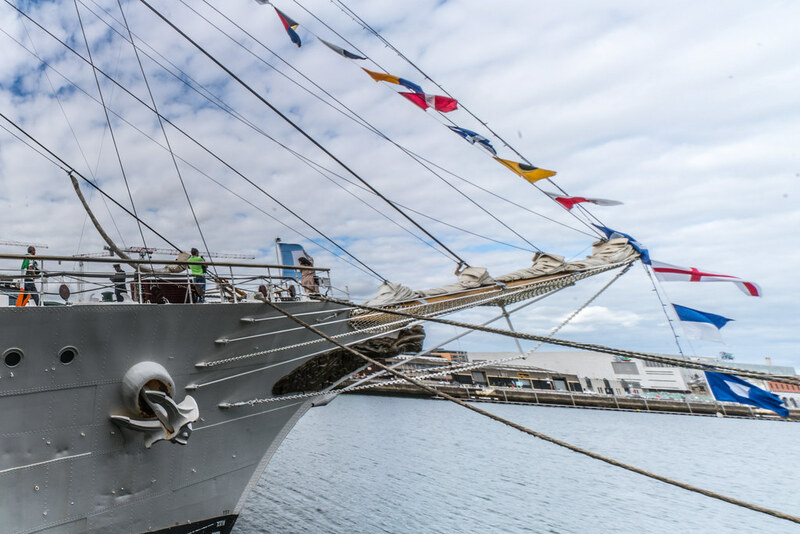 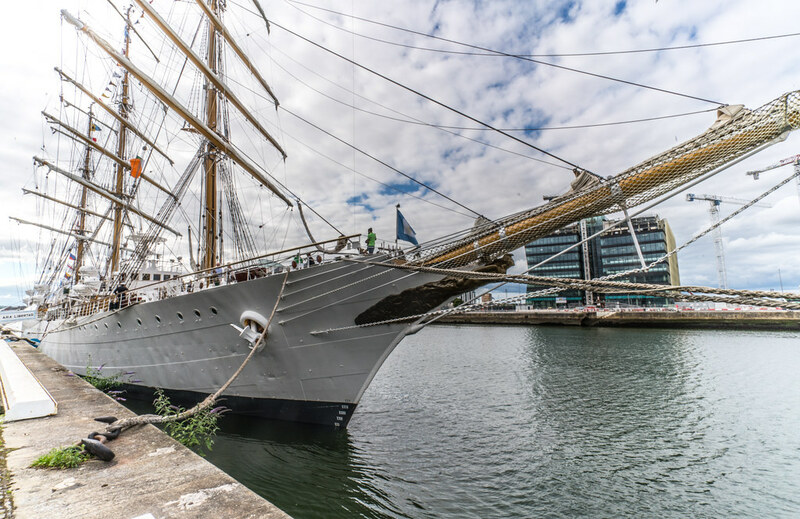 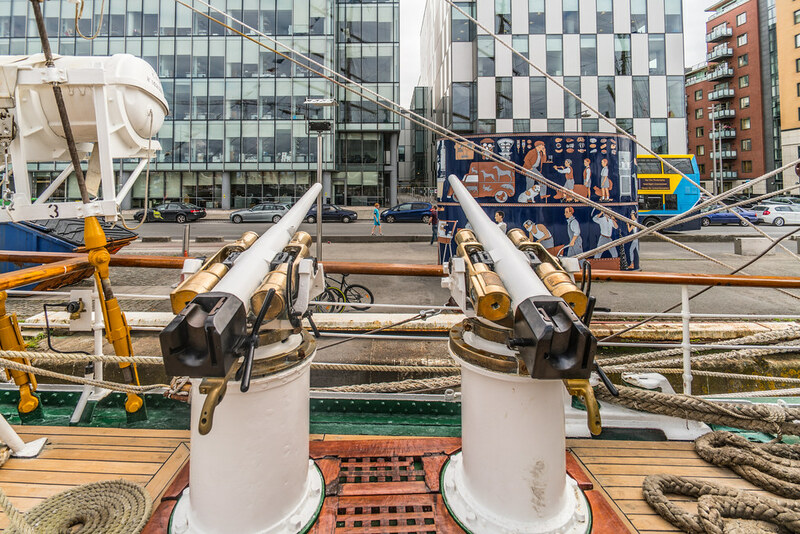 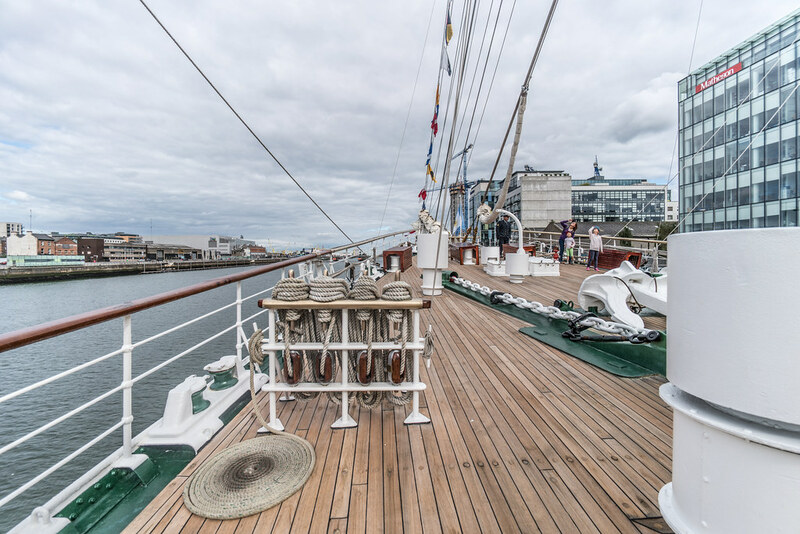 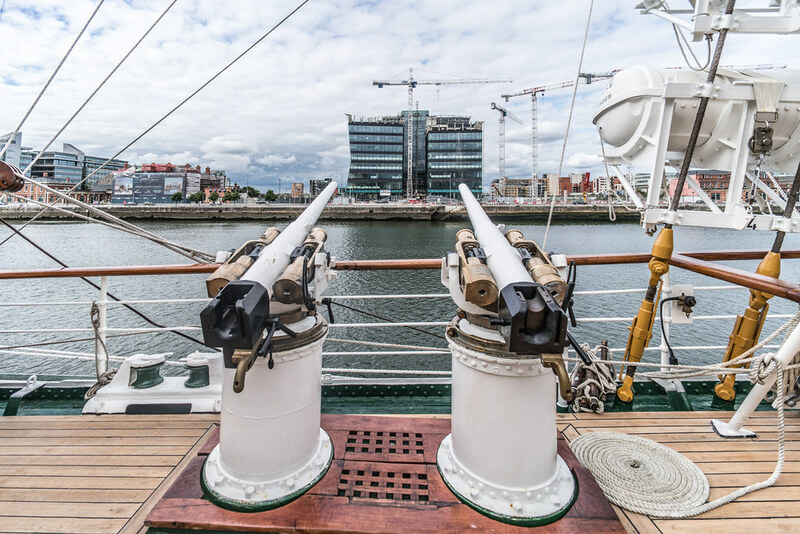 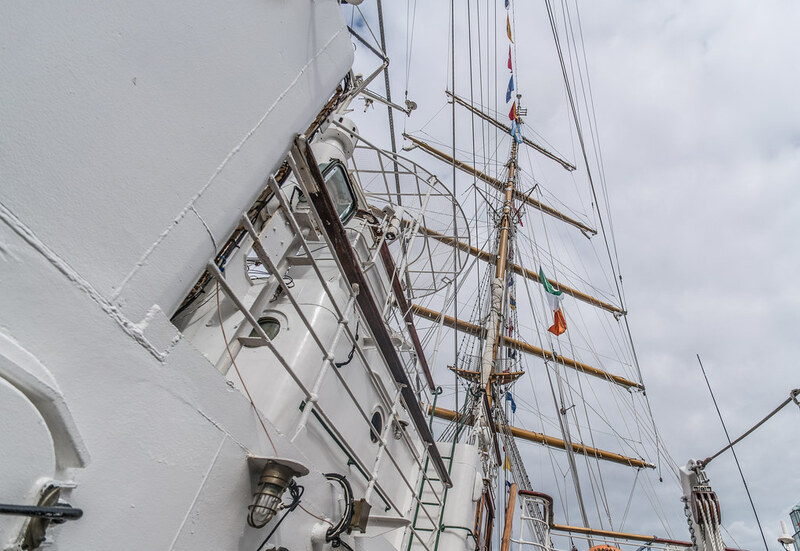 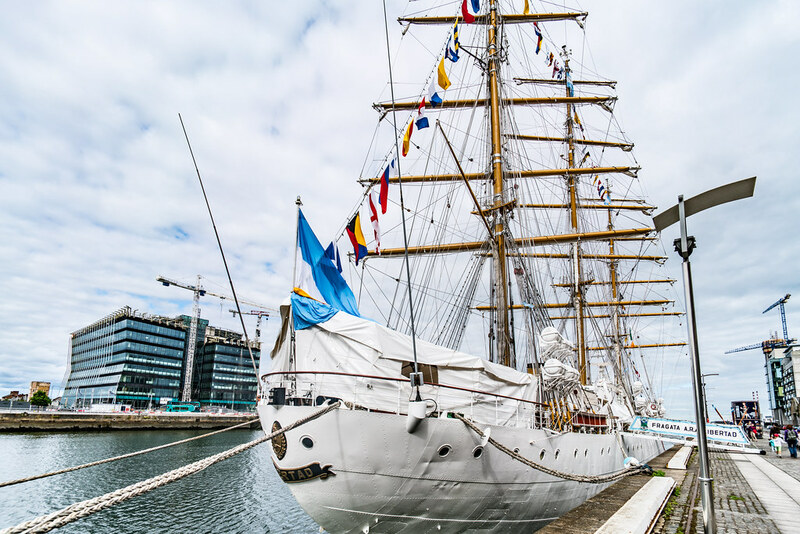 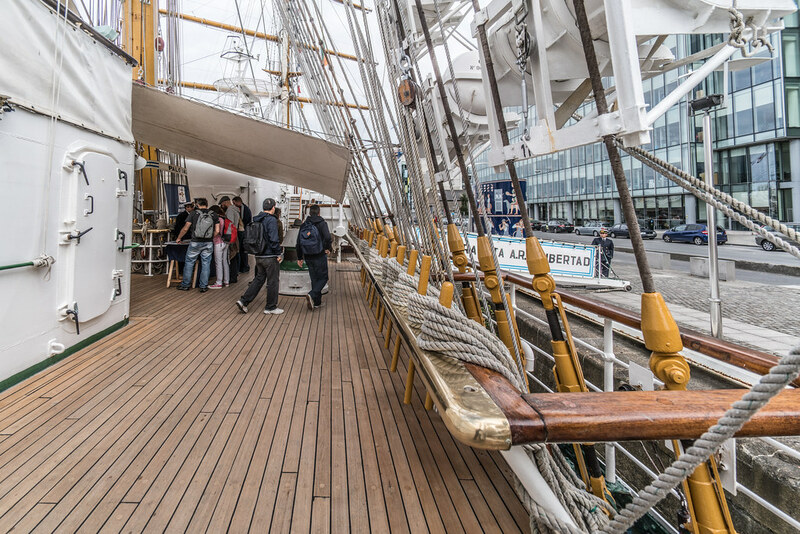 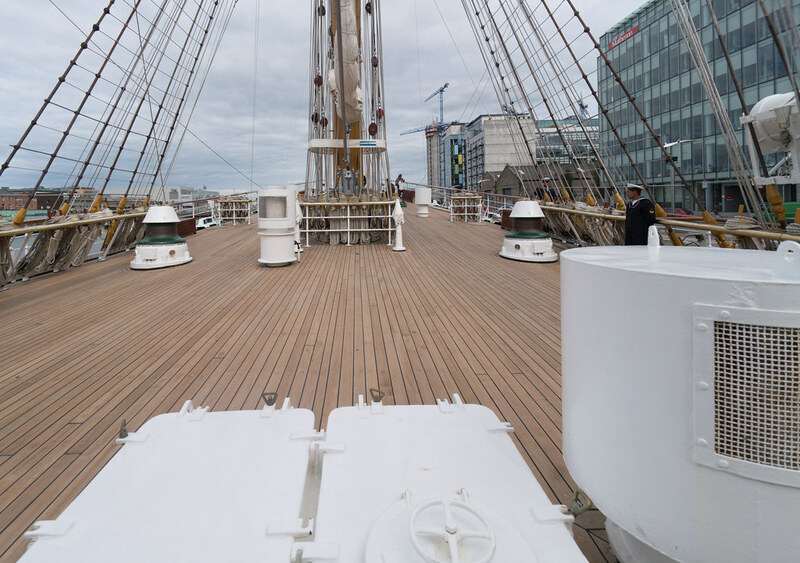 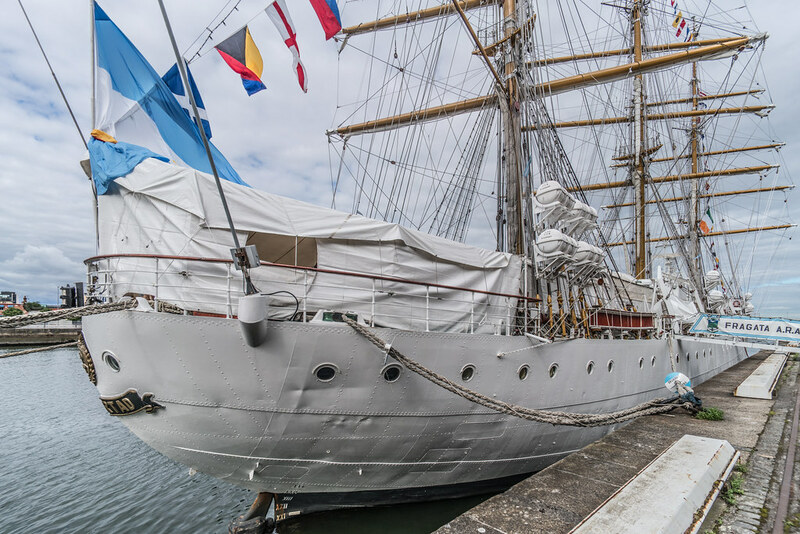 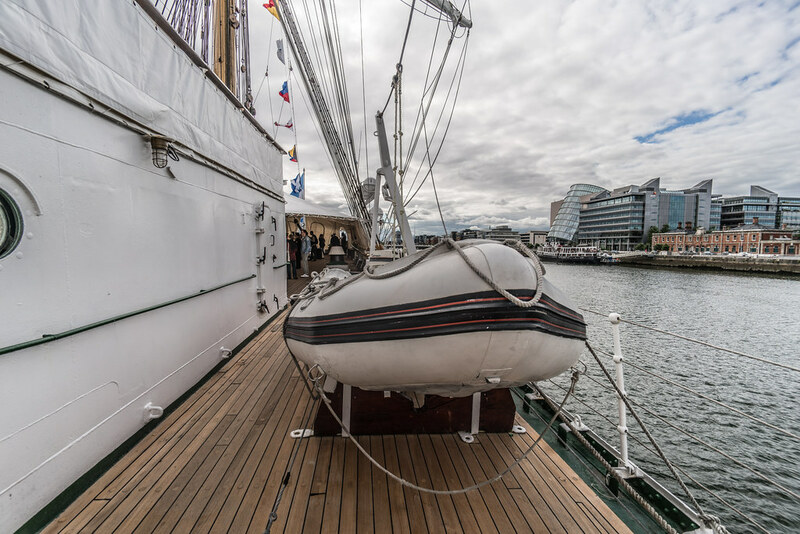 The Argentinian navy tall ship ARA Libertad (Q-2) arrived into Dublin port for the August bank holiday weekend. 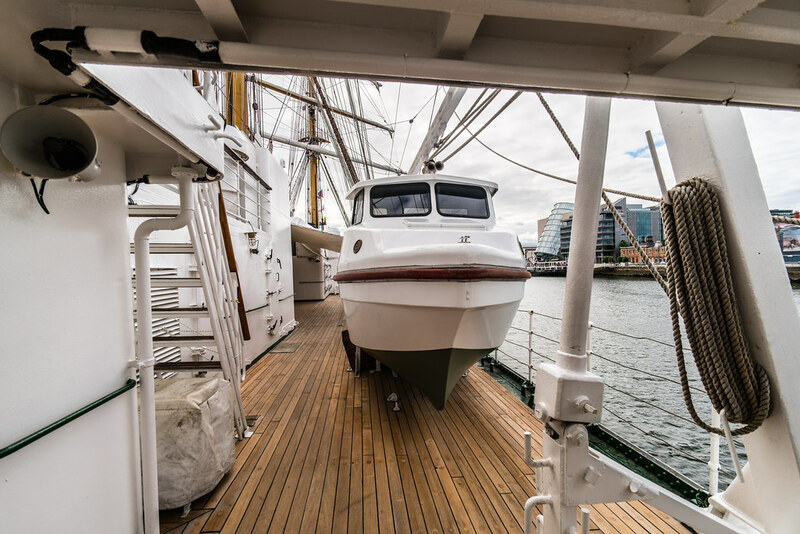 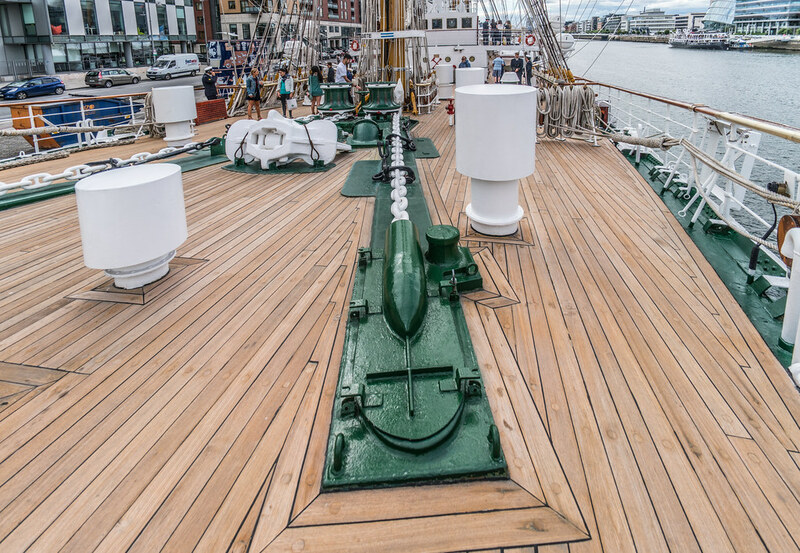 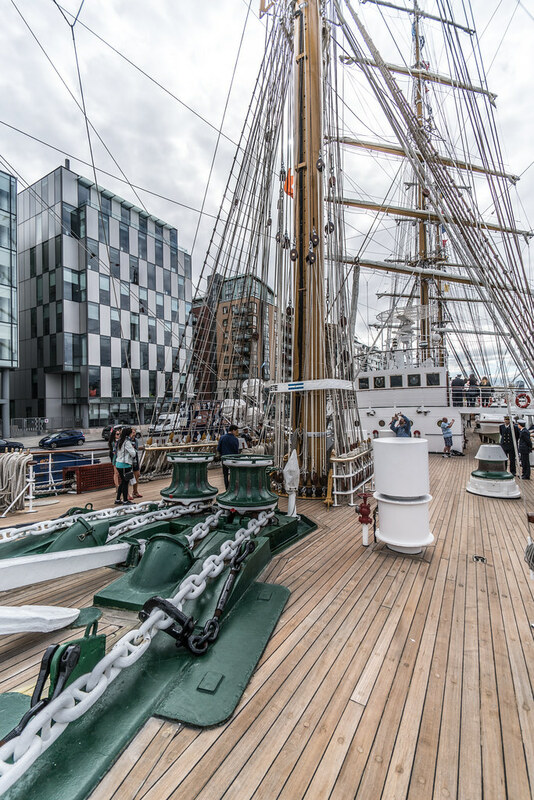 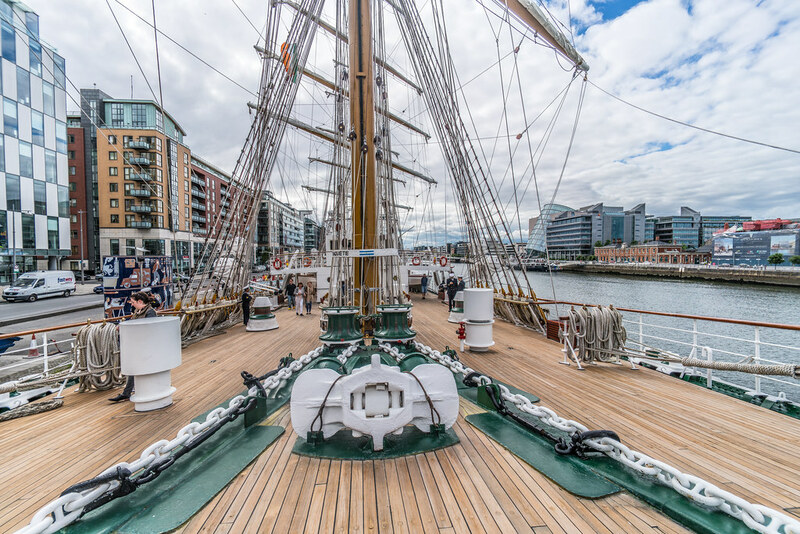 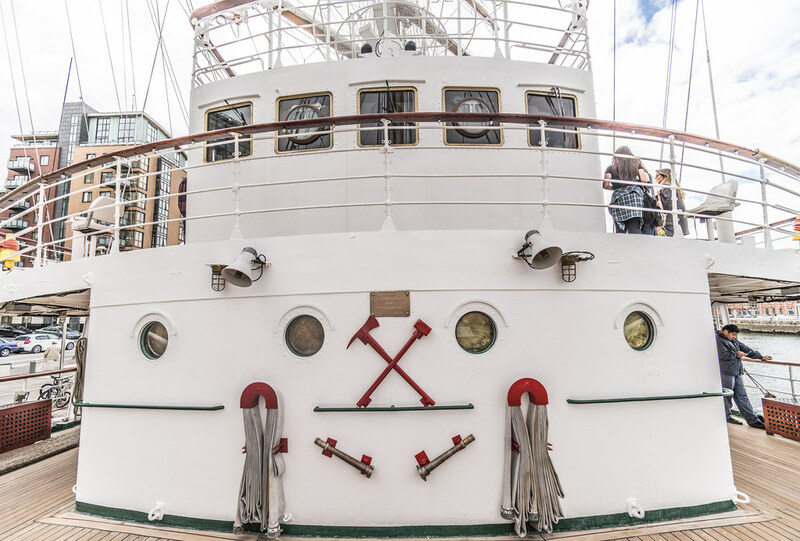 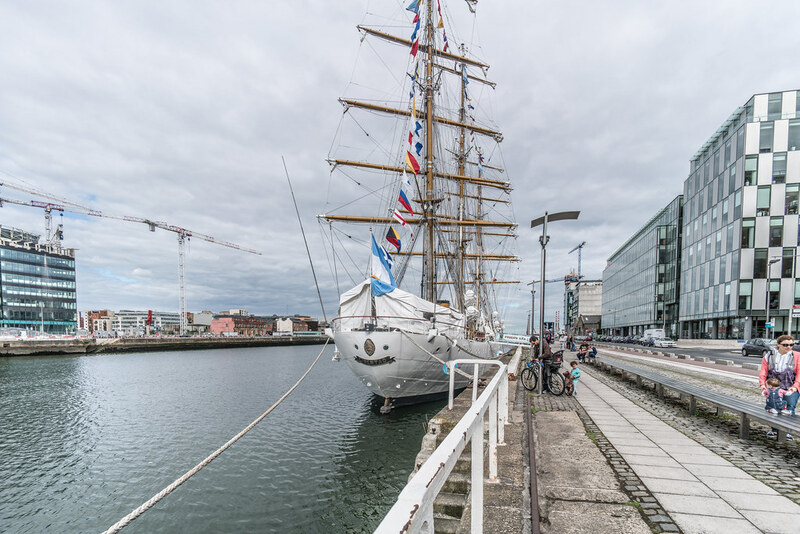 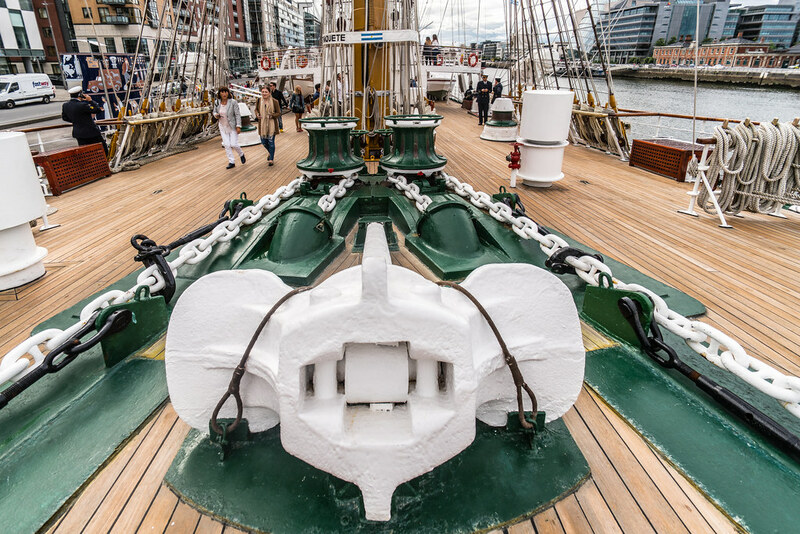 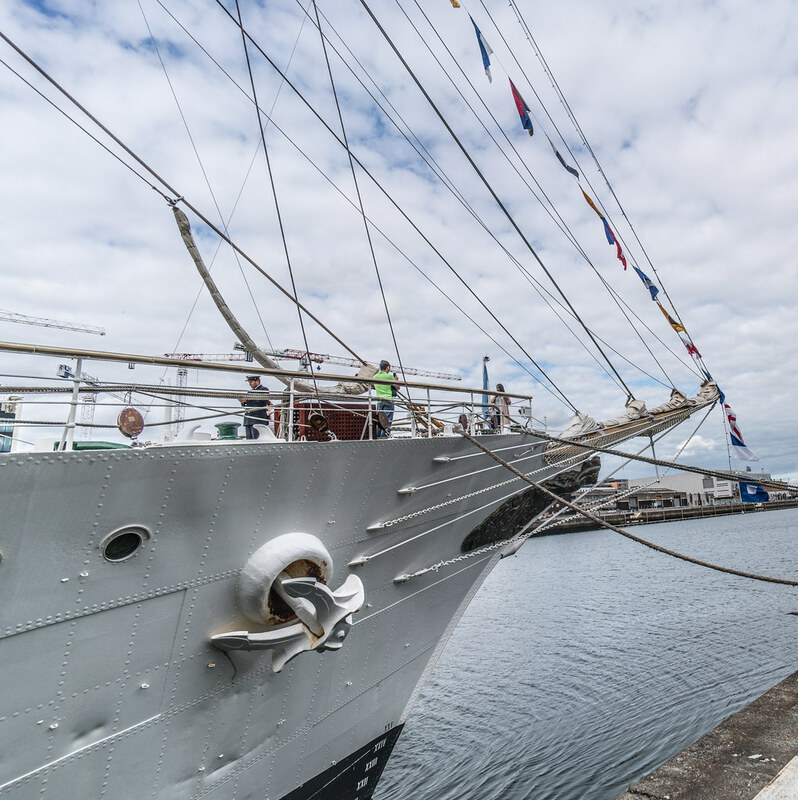 She is docked at Sir John Rogerson’s Quay and will be open to the public for visits until late Sunday.